Home - Forex brokers - Is TDS Capital legit? There are many brokers out there that dedicate a whole lot of their time to convince people to work with them. They do this through advertising, through over the top designs for their websites, through lies and dishonesty. But there are also companies out there who do not need to do all of those things in order to attract new users. All they have to do is exist and provide the service that they do. In this TDS Capital review, we will tell you why it is one of the most reliable companies that you can start trading with. While the broker does not provide Forex trading services, it provides the new and most exciting Crypto CFD trading, which is a great opportunity for many traders to increase their income, even though it is relatively risky. Even despite this, the security that TDS Capital FX brokerage provides for its users allows for a very nice level of having their assets safe. But before we start talking about the trading features, let’s talk about the general features of the page. The RDS Capital page is a very memorable one. It is an example of great design for a broker website. When a client goes to the website, they are greeted with a beautiful design and beautiful imagery. Though neither the design nor the imagery distract and detract from the most important feature of the page: the information that is provided on it. The homepage is of a common design but utilizes the design tricks to produce an easy flowing, a pretty website that provides the information to the client easily, as they scroll down. The client is able to receive information on the broker with ease – their partners, their terms and conditions, their policies and the offers. Through the homepage, the users will also be able to access other important information on the website. The navigation bar at the top of the page allows access to most of the important information with ease. The TDS Capital rating goes up just because of how easy it is to access the information about the brokerage. The tab allows navigation to all of the important information about the brokerage. The users will be able to access education on the very basics of getting started with the company, the more advanced concepts of CFD trading through the educational center offered by the broker, the general information on the company, the information on the account types offered by the company, the trader tools supplied the company. The users will also be able to change the language of the website to German for their convenience. The information that is not accessible through the top right tab is easily found at the bottom of the home page, where users will be able to find more detailed information on the legal aspects of associating with the company, trading CFDs, the contact information for the support team and the corporate team of the company. The website also provides users with news updates and a FAQ. The ability to find all of this information easily guarantees that no TDS Capital scam is possible. Can RDS Capital be trusted? The company has a very positive reputation online. Since from the very beginning of the operation, the company has had a constant supply of positive reviews from content users.This is the result of the outstanding service that these guys provide. Users always comment on the great design that the website has, the ease of attaining information and the great educational opportunities that the broker provides. But what usually charms the users the most is the fact that the ease of work with the broker. Instead of having a complicated platform or a complicated deposits and withdrawals system, the company offers its users simple tools and an easy platform that the users find very enjoyable. Many users report that their success rate and the speed of their income generation has increased several times since they started working with the brokerage. So most of the TDS Capital reviews online are extremely positive, which is a good sign for any user looking to start working with them in the near future. The company has a number of things to offer to its users. The most important product that they supply is the web-based trading platform, which is unique to TDS Capital. Many users have reported that the platform is extremely beginner friendly and very simple to use. This allows them to trade with confidence and speed, without being worried about any kind of issues arising throughout their trading experience. Our own reviewers, who have been trying to work with the platform for a while now, have also had a very positive experience. 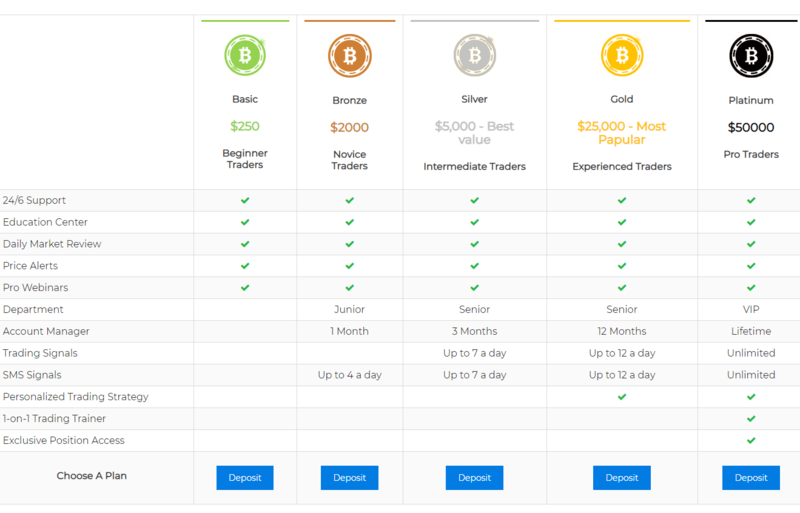 While there is no guarantee that you will be able to increase your income several folds simply by switching to this trading platform, the level of ease with which you can trade with the platform is a definite benefit, and something other brokers need to emulate. There is no RDS Capital MT$, unfortunately, but this is not that much of a problem, especially considering the fact that the web-based platform is just as customizable and just as easy to use as the MT4, even though there is no TDS Capital MT4 to talk about. Something else that the broker offers to their clients is a level system for their accounts. This level system is based upon minimum deposits, with those who deposit more having a higher level than those that deposit less. The deposit does not have to all happen in a single instance – the funds accrued over time in deposits will contribute to the level as well, and it is easy to move from one level to the other. The levels offer their users a number of benefits over the lower ones, offering them the chance to have better trading terms and better trading experience through the use of better indicators and availability of one on one education, personal account management and so on. The levels start from basic and go on to bronze, silver, gold, and Platinum. The minimum deposits are two hundred and fifty dollars, two thousand dollars, five thousand dollars, twenty-five thousand dollars, and fifty thousand dollars. This, in our TDS capital opinion, is a good thing for all users and the platform itself as well. Overall, TDS Capital opinions in our team are divided. Many think that the many things the broker has to offer to their users is a very positive aspect and should earn the company a high rating. Many of us tend to agree. Others think that there is a problem, where the broker does not seem to offer anything in terms of other assets to trade. This is why TDS capital fraud is not something possible, but it will not be listed as one of the highest rated companies with us either, it will simply be considered to be one of the better ones.